Using Pinterest to promote your E-commerce website? Pinterest is becoming one of the best referral traffic sources for many online stores around the world. Every day I see more and more of my clients gain significant amounts of revenue through this simple social image bookmarking network and even similar networks and clone sites. 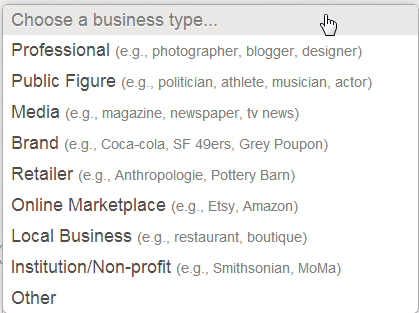 This just in: you can now have Pinterest Business Page! How to claim a new pinterest business page for your online store? First of all, what changed? If you decide to use Pinterest as a business, there is now a separate TOS for you that you can find here. You can now have a “Follow us” Pinterest button on your website, just like with Twitter and Facebook. To create a new Pinterest Business account, follow this link. To convert your old Pinterest user account into a business account follow this link. As an e-commerce website, you’re probably supposed to choose a Retailer or an Online Marketplace business type. Don’t worry too much since you can change your business type later. After you finish your conversion into a business account, you’ll need to verify your website. The verification process is extremely easy, just like with Google Webmaster Tools verification, you’ll be given a file that you upload to the root of your website here, confirm verification and you’re done! Enjoy your new Pinterest Business profile, and if you want you can Follow Inchoo on Pinterest!